I was getting ready to get my thoughts together and write a post about racing Tour of the Gila as a guest rider on the Primal/MapMyRide p/b BH Bikes Women’s Team but I decided to do share my big news first. After having a really fun and hard race at Gila, I was offered a mid-season contract by Primal/MapMyRide. After much deliberation (actually not much at all because these ladies are amazing!) I have signed a professional cycling contract to race for the remainder of 2012 (and hopefully beyond!) with Primal/MapMyRide! 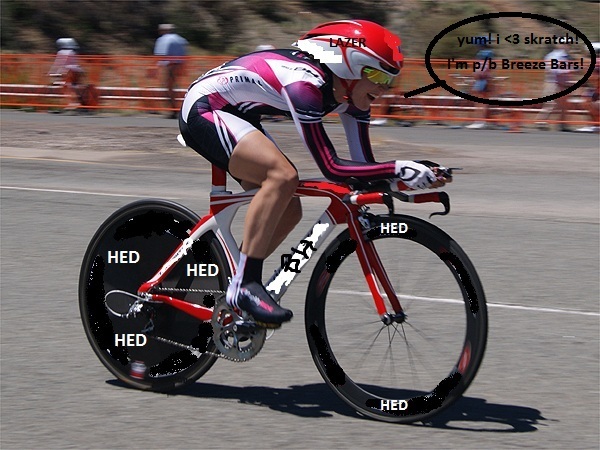 Here’s an artists rendering of what I will probably look like as a pro cyclist. All joking aside, I am so excited to have found such a good team for myself and doubly excited that they liked me enough to sign me right away! Everyone involved with the team is so supportive and kind and the sponsors are extremely generous and committed to supporting our team. There is a huge breadth of experience on the team and I am so excited to learn from and race with these awesome ladies! 35 year old pro road and cyclocross racer. National Champion. Generally nice person. This entry was posted in Racing and tagged road race, stage race, time trial. Bookmark the permalink.